Columbia River Dams from Wrecking Balls? The Obama administration keeps recycling Bush-era Columbia River policies, and it keeps losing. What's the deal? In the words of the former New York Yankees catcher and manager Yogi Berra, "it's deja vu all over again." In mid-June, the National Wildlife Federation and an array of other environmental and fishing groups filed a complaint in federal court alleging that the federal government's Biological Opinion (BiOp) on the operation of the Columbia River dams violates federal law. The feds have been issuing these Columbia River BiOps since the Clinton administration. Conservation groups, fishing groups, tribes and the state of Oregon have been challenging them -- and prevailing. Courts have shot down four BiOps so far. The BiOp issued in 2010 was much like the one issued in 2008 (deja vu). The BiOp issued this year is much like the one issued in 2010 (deja vu all over again). Yogi nailed it. When the current BiOp came out in January, little had changed from the version that a federal court struck down in 2011 -- it was clearly just a matter of time before the usual plaintiffs came back to make some of the usual arguments. "We've talked with [the Bonneville Power Administration], we've talked with the [U.S. Army Corps of Engineers], we've talked a lot with Washington state.in order to set the table for a collaborative negotiation," says Save Our Wild Salmon executive director Joseph Bogaard, but it hasn't worked. Everyone is back in court. True, the past doesn't necessarily provide a roadmap to the future. True, when the National Oceanic and Atmospheric Administration (NOAA) released the BiOp, it proclaimed that "improvements at federal dams on the Columbia and Snake rivers, rehabilitation of habitat, and other actions are benefiting federally protected salmon and steelhead as much as or more than anticipated five years ago." Still, based on the historical record, one would be foolish not to anticipate the usual results. There are, however, two ways to view the repetition of results. On one hand, the federal defendants haven't taken a single round in court. On the other, they haven't had to fundamentally change the system. "If the defendants define delay as victory," Bogaard says, "then they're winning." 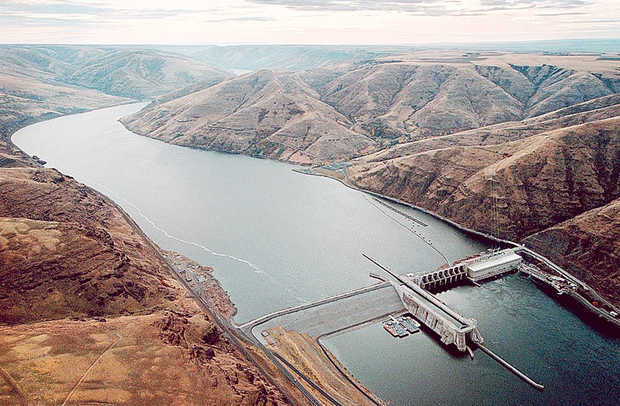 The focus of all these ponderous BiOps and all these years of litigation has been the impact of dam operations on the Columbia River system's threatened and endangered salmon populations. There are 13 of them, the first of which was listed for federal protection in 1991. How does the Columbia River dam system (which includes dams along the Snake River) affect the fish? How will the feds mitigate the effects and restore the populations? The plaintiffs argue, as they always have, that the feds aren't doing and don't plan to do enough. This threatens the recovery not only of salmon populations, but also of endangered Southern Resident Killer Whales, which some prefer to call Puget Sound orcas. The orcas eat salmon. They prefer to eat big, fatty Chinook salmon. They evolved near the Columbia, which was the greatest Chinook river in the world. In its recovery plan for Southern Resident Killer Whales, NOAA has acknowledged that "perhaps the single greatest change in food availability for resident killer whales since the late 1800s has been the decline of salmon from the Columbia River basin." And yet ... the BiOp recognizes the relationship, but argues that business as usual is all the endangered sea mammals need. Hatcheries will more than make up for the Chinook currently lost at the dams, so the orcas' food supply won't decline. But the plaintiffs argue that NOAA has chosen the wrong baseline. The BiOp doesn't confront the fact that the current number of salmon supports a small and dwindling number of killer whales. To support more orcas -- to restore the orca population, as the law requires -- we will presumably need more salmon. Are the Feds Simply Shielding Columbia River Dams from Wrecking Balls?